Lemming. 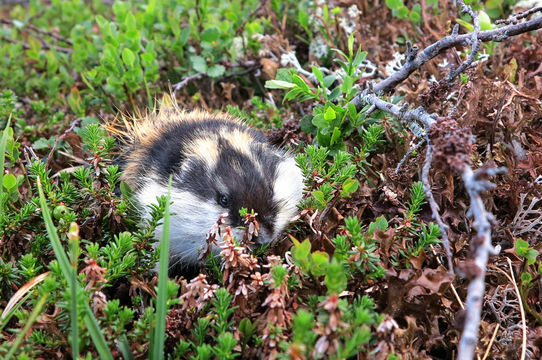 2014 was a "lemming year", and they swarm over the mountains. The following 2-4 years you hardly see any at all, and then the population explodes again. Cadavers are everywhere, and birds of pray and foxes have a great time. With an increase in predators, the ptarmigan population goes down âÂ they nest on the ground, and eggs and chicks are vulnerable.